8th State, 13th Marathon, and my #1 all time favorite! 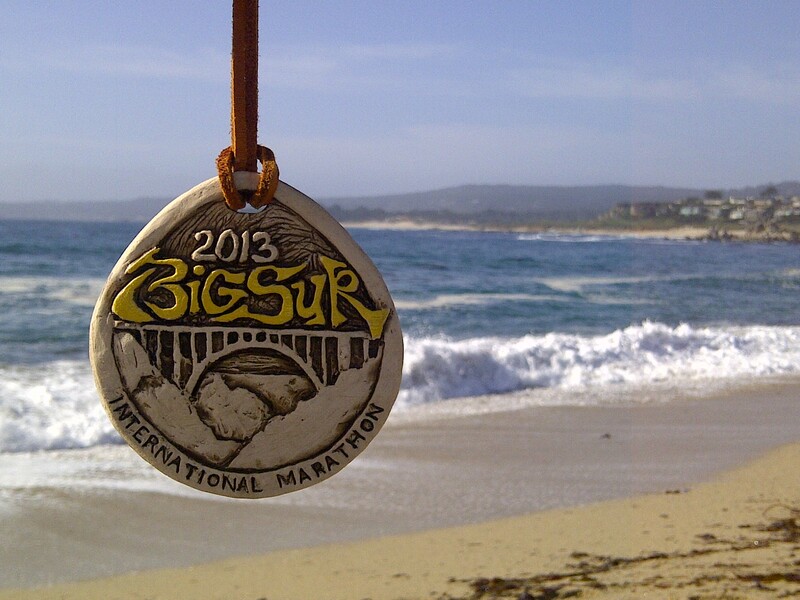 Big Sur International Marathon, April 28, 2013! Wow, is all I can say. 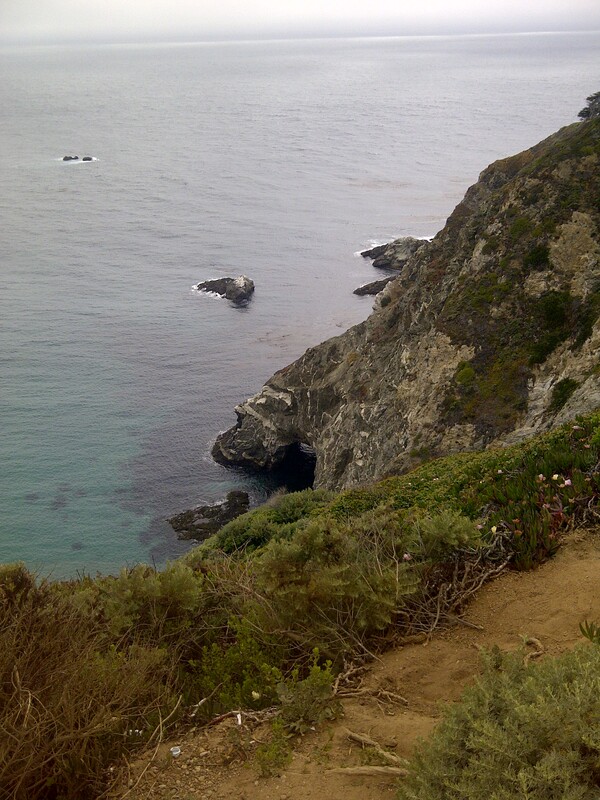 Everything about the Big Sur Marathon weekend exceeded my expectations. 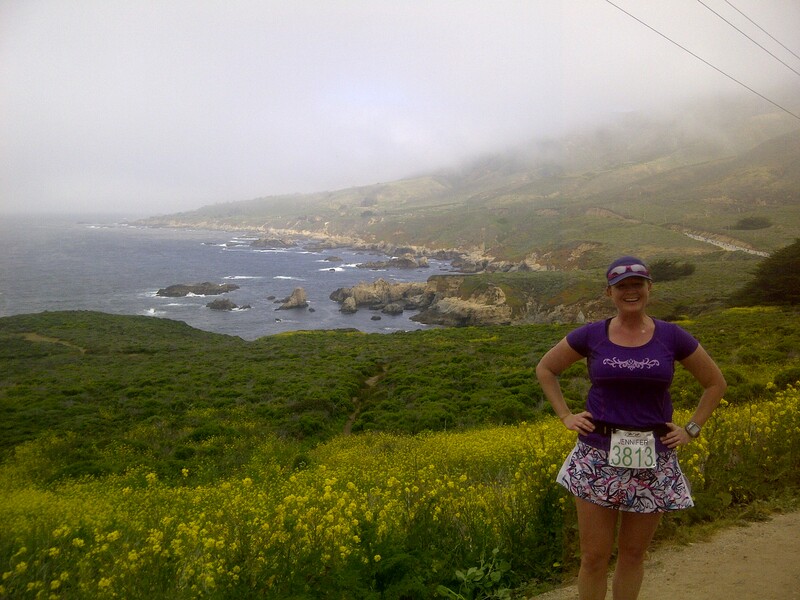 Big Sur, is sitting pretty in my number #1 best overall marathon in every category. I have often pondered keeping a running ranking of my marathon adventures and this just might inspire me to do that. 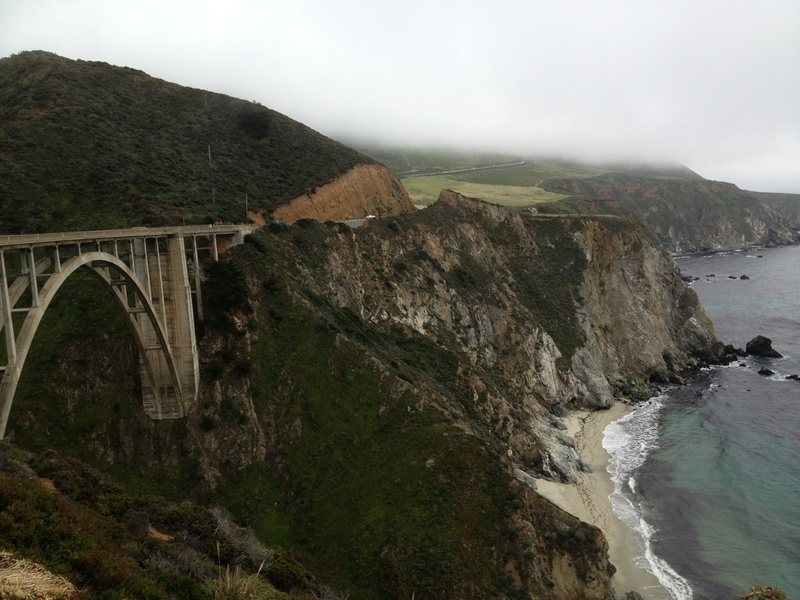 For anyone who asked about my experience I explained that Big Sur is the only marathon I have ever run that I enjoyed almost every single mile. If it weren’t for the uphill on mile 25, I would say I enjoyed EVERY mile. The pain of mile 25 was brief, just generally not appreciated so late in the race. 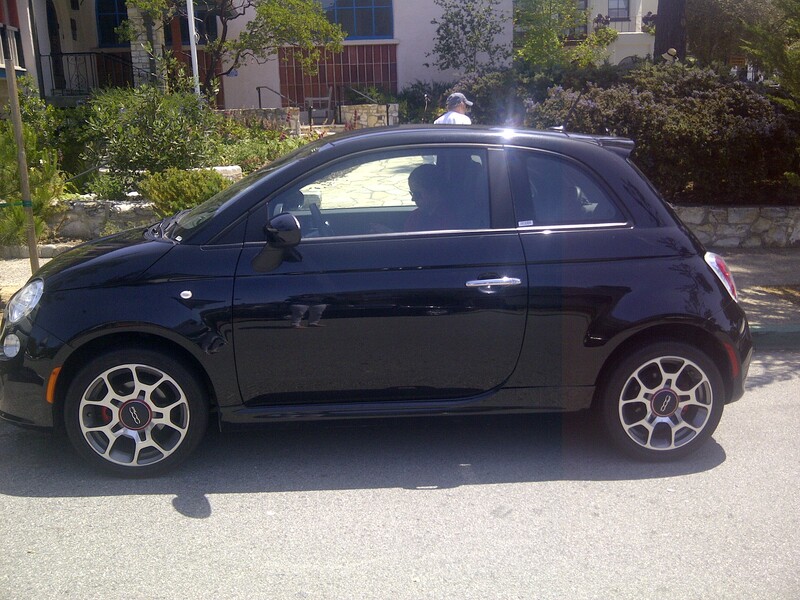 So what made the Big Sur miles so much more enjoyable than the previous 316.4? (12 x 26.2 + extra two miles on my ultra attempt) . 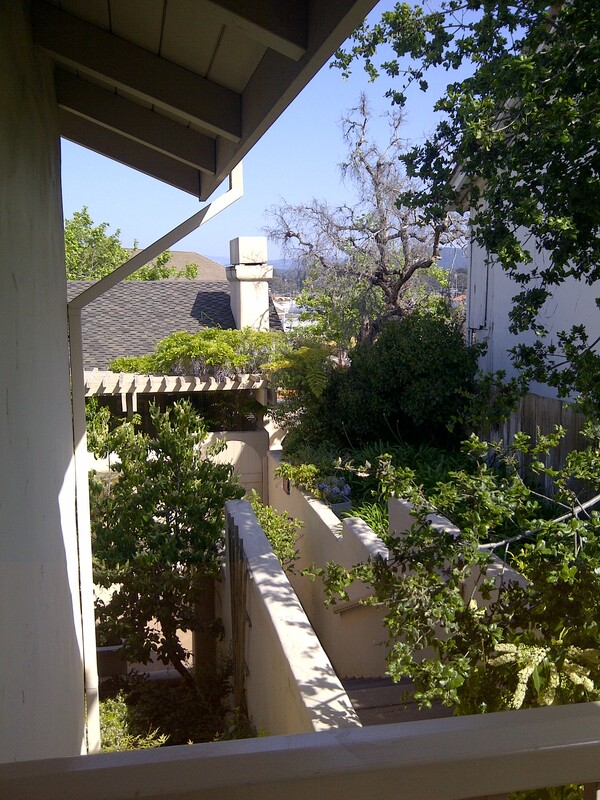 I am not exactly sure, but I will attribute it to having just one single goal – Finish & Enjoy! 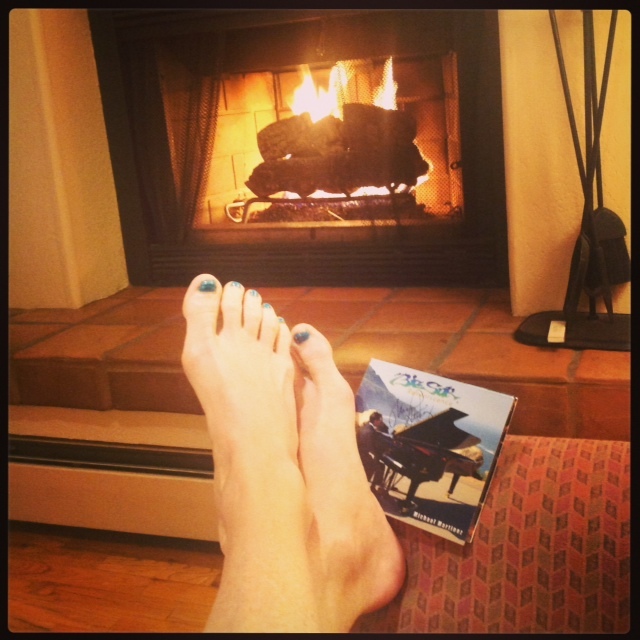 MY BIG SUR MARATHON PLAN! “This is a difficult course and you should plan on adding extra minutes to your usual marathon time. Walk if necessary, Enjoy the spectacular music and scenery along the course and don’t worry about your time! I took the pre-race communications to heart and put them to action. The last thing I wanted to do was travel 2,765 miles and beat myself up over a missed PR. A mere 13 days after the attacks on Boston, just being able to run, in honor of those who cannot was a gift in itself. 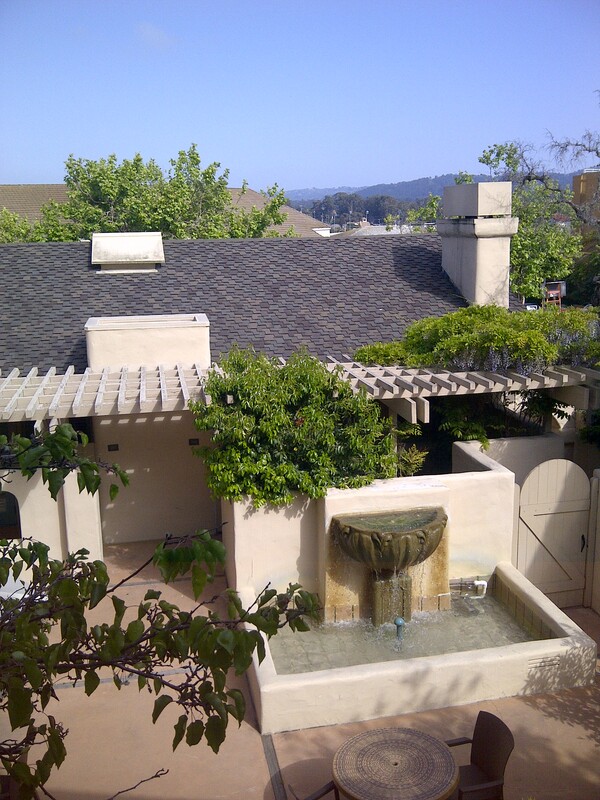 Lodging– Hotel Pacific, located right next to the expo, and block away from marathon transportation was fabulous. Our room was huge and full of amenities. It included a sitting area with gas fireplace, small dinning area with fridge, bathroom perfect for sharing with two showers etc We loved it and felt like we were in a honeymoon suite. Our Bibs! 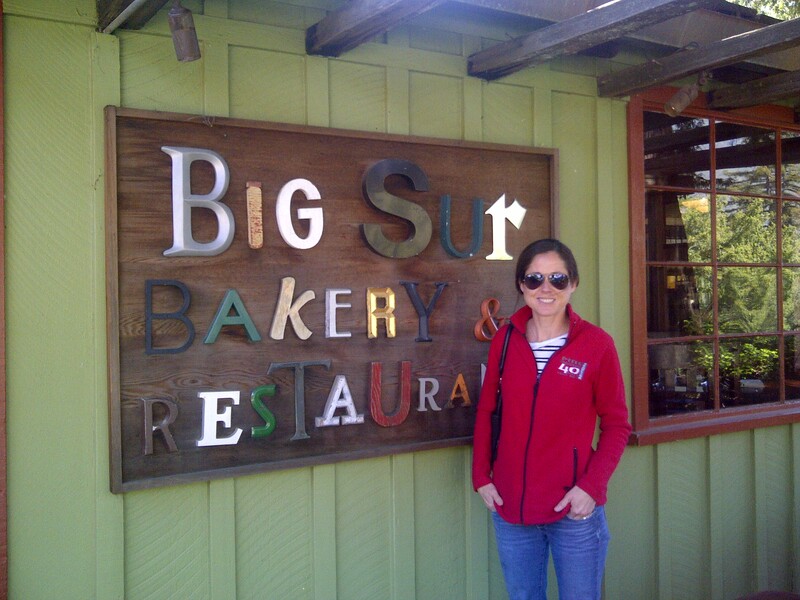 Way to go Laura on Boston 2 Big Sur! 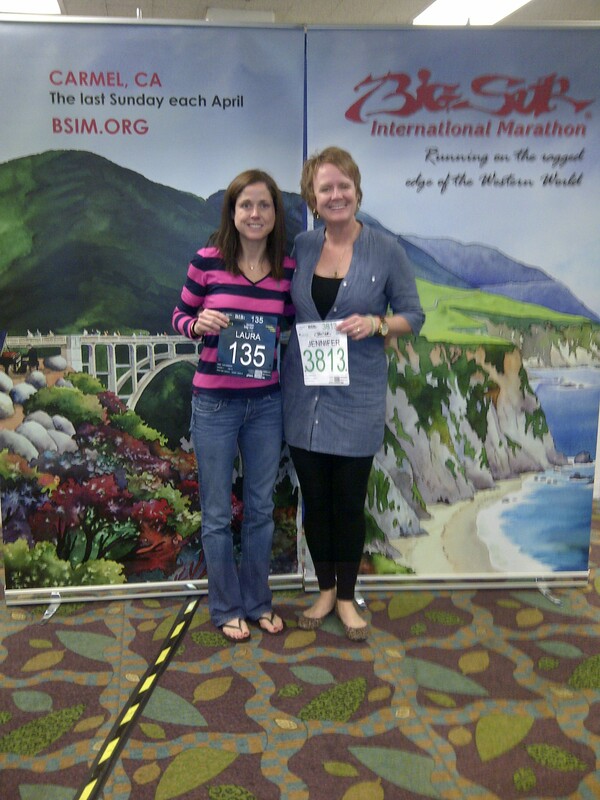 Race Expo- Monterey Conference Center. 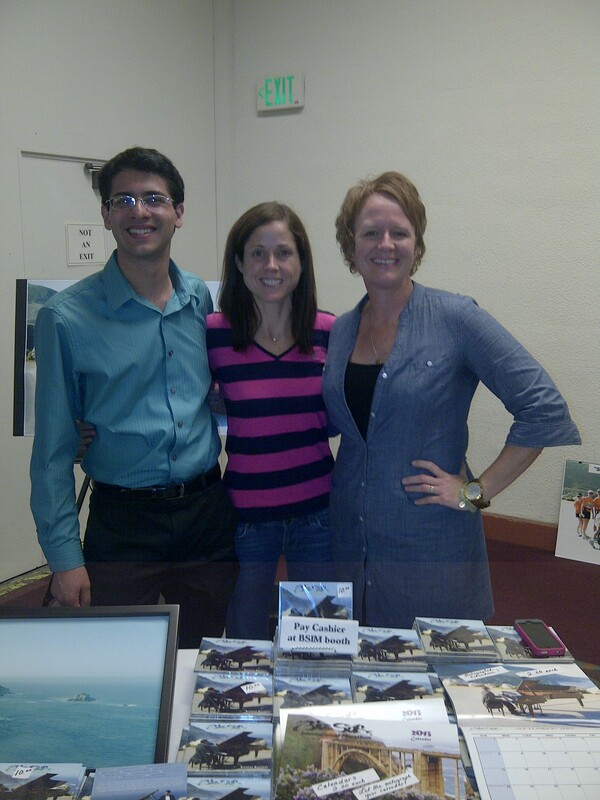 Was easy to navigate, staffed with super friendly volunteers, and hosted lots of great vendors. We typically breeze through the expos(you’ve seen one you have seen them all) but this one we took our time to enjoy! 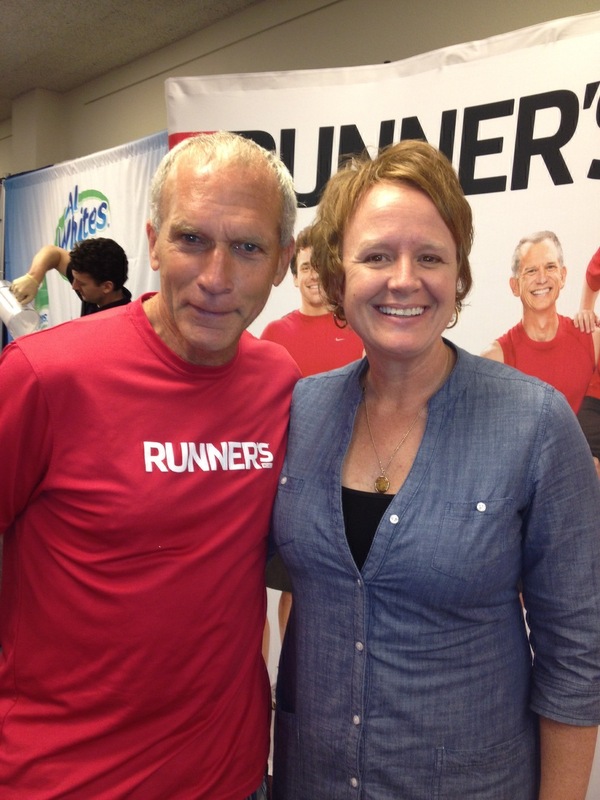 My highlight was officially meeting Runners World, Chief Running Officer, Bart Yasso! I was giddy with excitement and was able to contain myself! The previous November, Bart gave me a “fist bump” during the Richmond, VA Marathon when I spotted him on the sidelines. I am a huge fan! His book My Life On The Run, is a great running read. 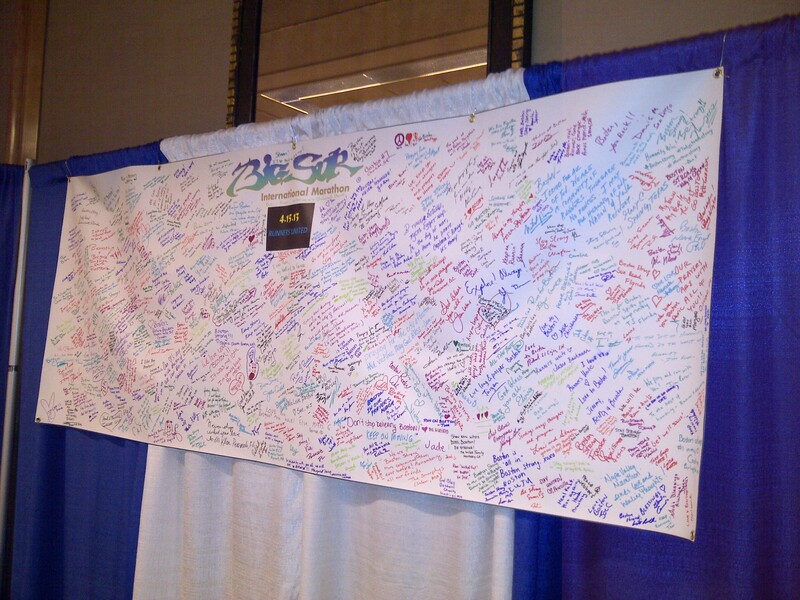 Expo continued…the support for Boston was everywhere! 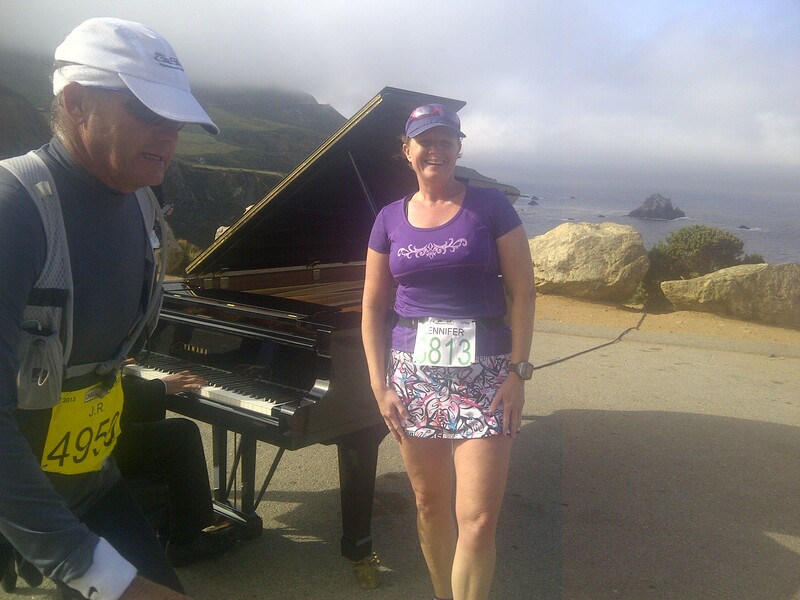 We met Michael Martinez, Big Sur “Grand Piano Man” who famously sits at mile 13.1 and plays his Grand Piano. We purchased his CD. No pictures of the expo massages but they were awesome and well worth $1 a minute! 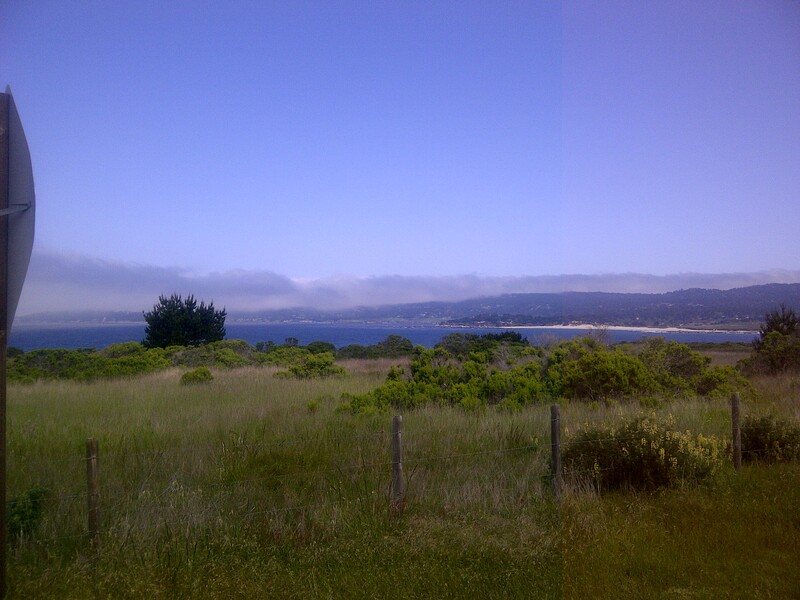 Saturdays Highway 1 adventures – We drove through Monterrey Cannery Row. 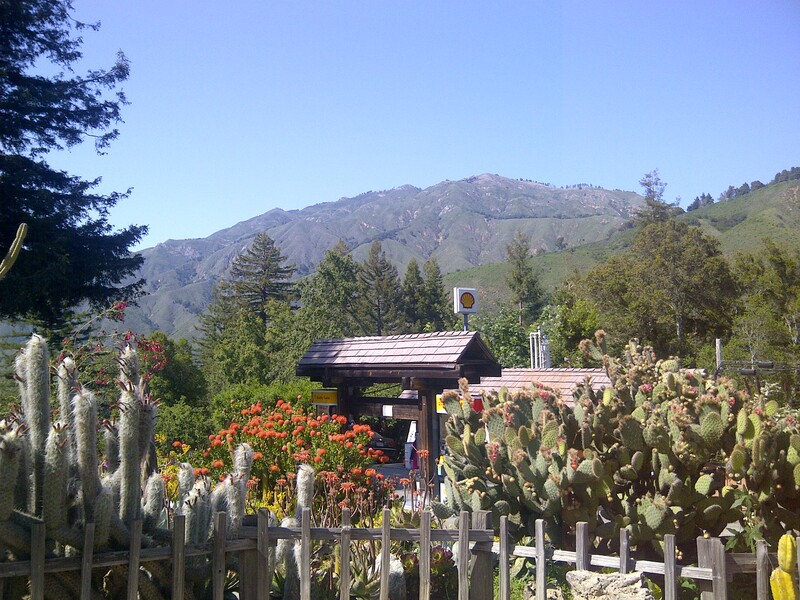 Although fabulous, and the best aquarium I have ever seen, we skipped visiting the Monterrey Bay Aquarium in an effort to stay off our feet. 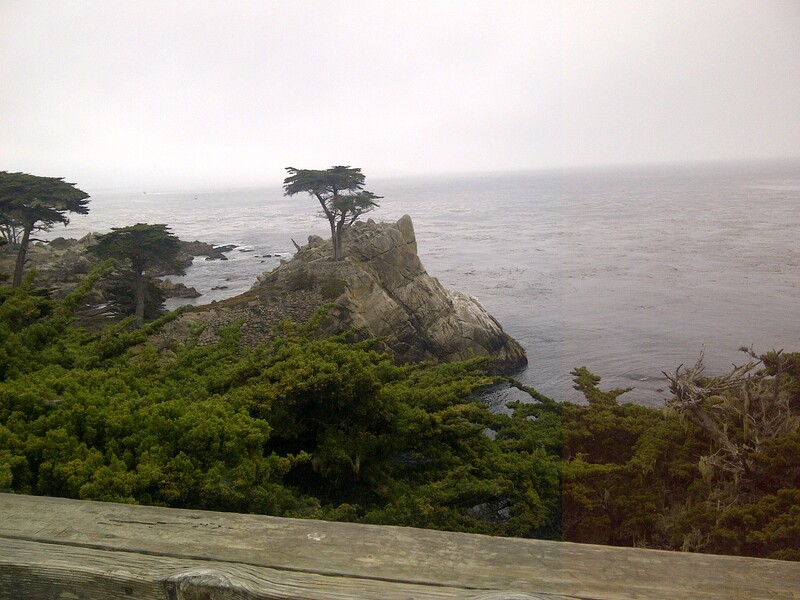 Instead, we drove the 17-mile drive, lunched in Carmel-by-the-Sea, and then headed down Highway 1 to Big Sur. Lunch at Hogs Breath Inn! 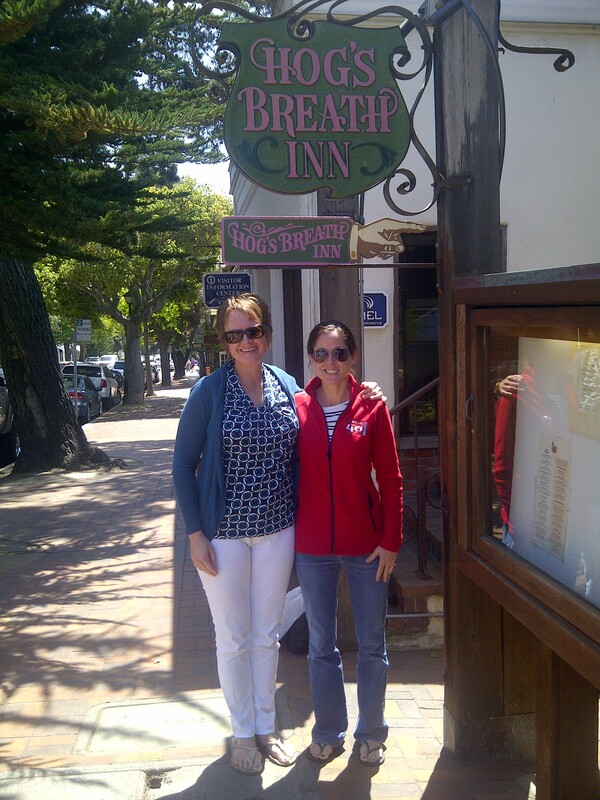 Total tourist shot after lunch at Hogs Breath Inn. Thanks Uncle Zeke for recommendation…your hat is on its way! 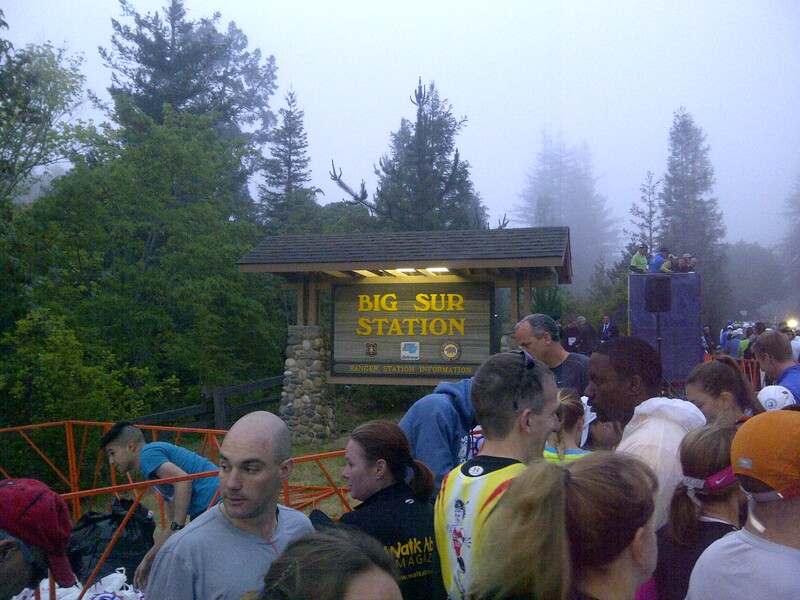 Marathon Day- Early start as we loaded the buses to Big Sur at 4:15am. Luckily, we only had to walk a block from our hotel. Its an early start, but its a major effort on the event organizers to transport runners 26.2 miles down two laned Highway 1. 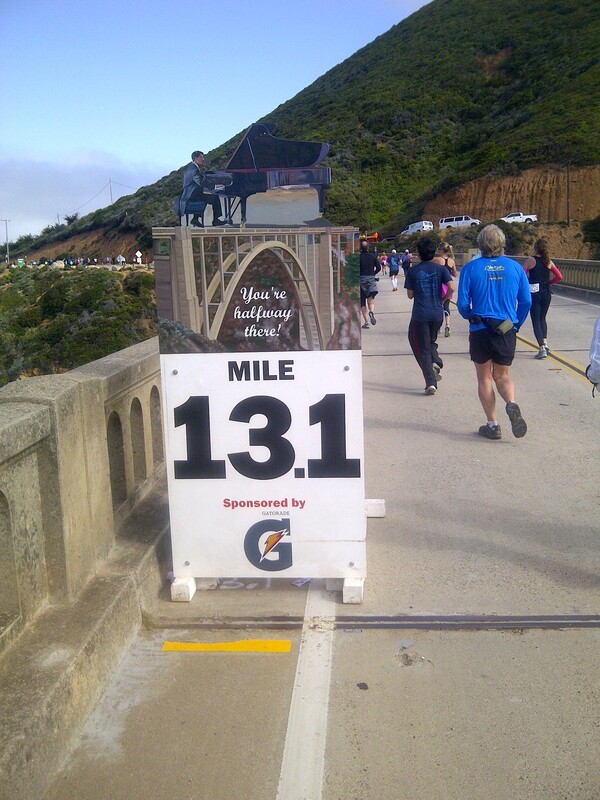 In addition to the marathon Big Sur offers a Relay, 21, 10.6, 9, and 5k mile option. 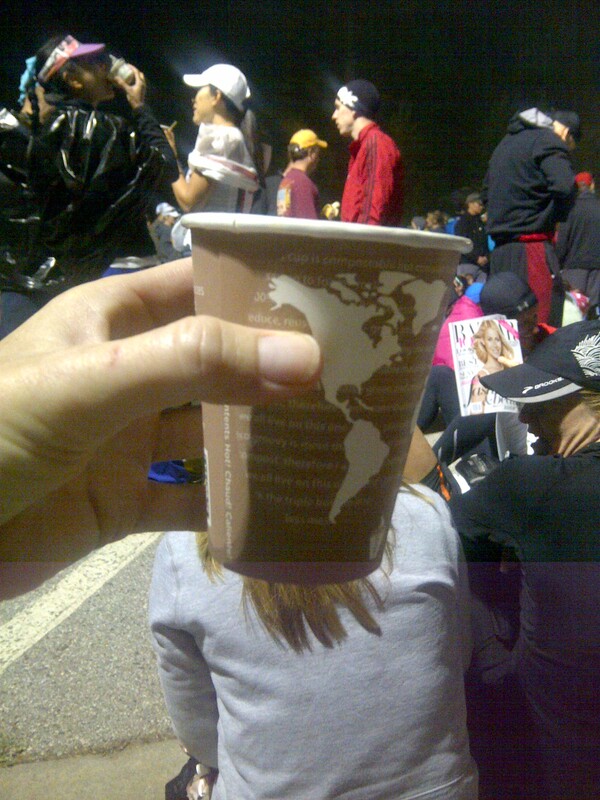 1st race I have even participated in that offered water, coffee and food at the start! Super bonus points for that! 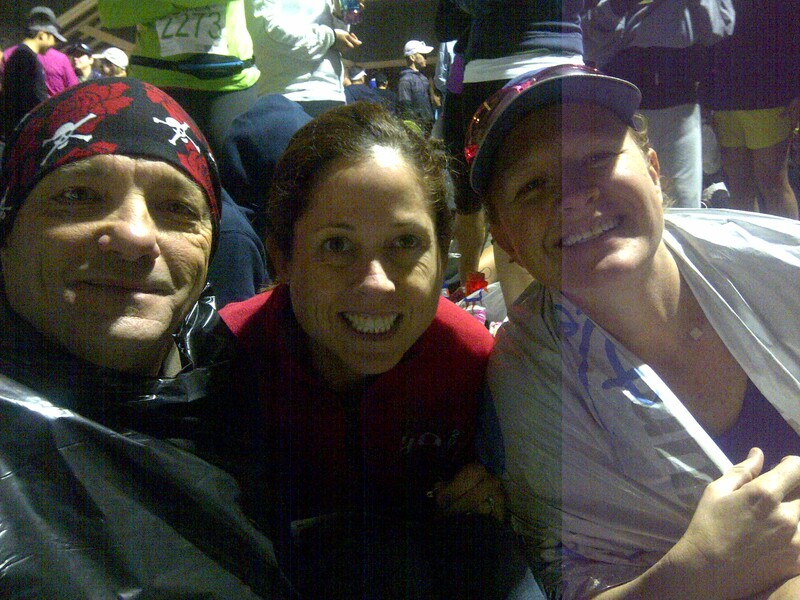 Huddled to stay warm with fellow runners! 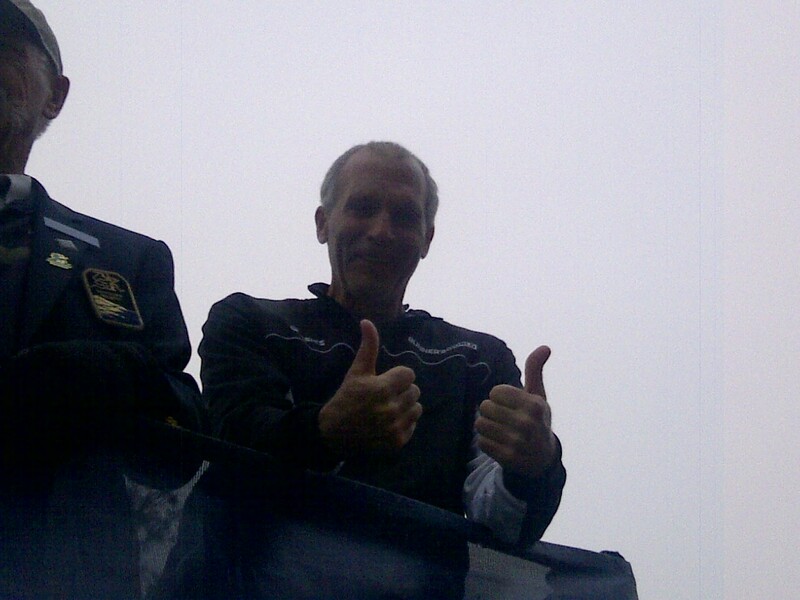 Two Thumbs up from Bart Yasso prior to the start! 6:45am and we were off and running! As part of my Finish & Enjoy Marathon Plan, I brought my phone to take pictures along the way. 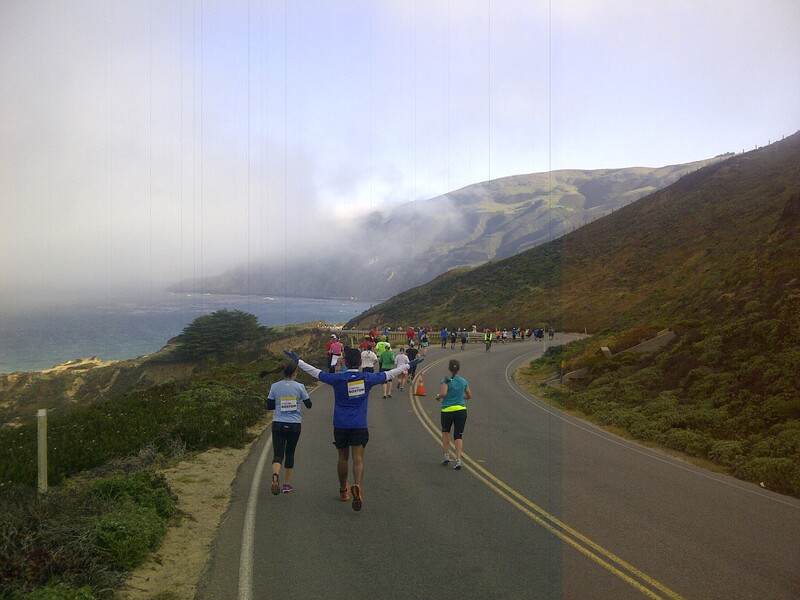 The official description describes Big Sur Marathon as a Point to point, moderately difficult, with live entertainment on the course. 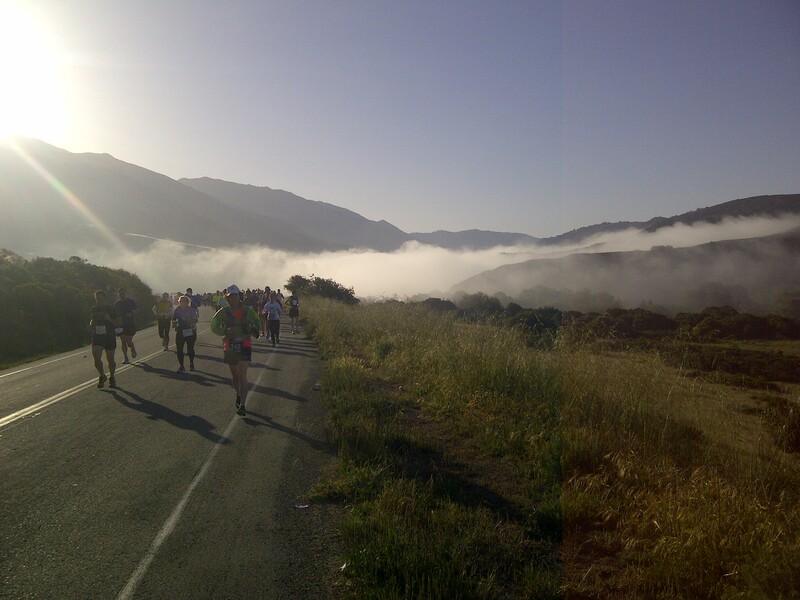 Featuring rolling hills, Big Sur is the largest rural marathon in the world, winding through redwoods, paralleling ranches, and offering stunning views of the Pacific Ocean. I often stopped to catch a glace of where I had come from. The view looking back is just as good as the views ahead. It is 360 degrees of sheer beauty. If the winds were not enough , we soon caught the first glimpses of Hurricane Point (550 foot climb over 2 miles) starting at mile 10. I am proud to say I slayed Hurricane Point by running the entire way. I was determined not to stop! 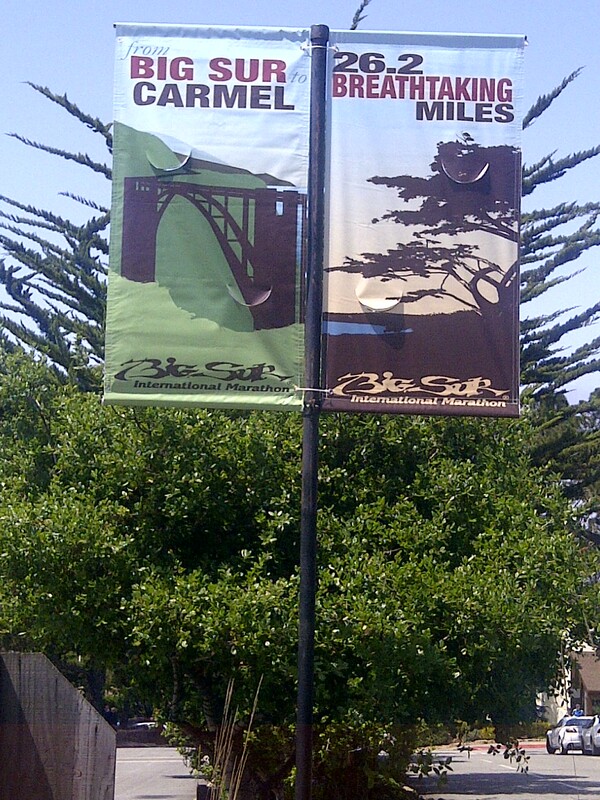 The mile markers, each 7 foot tall, where the BEST, I have ever seen. They ranged from completely stupid, funny, to inspiring. They had a unique way of telling a story and really personalizing the marathon to the region, local runners, and area. 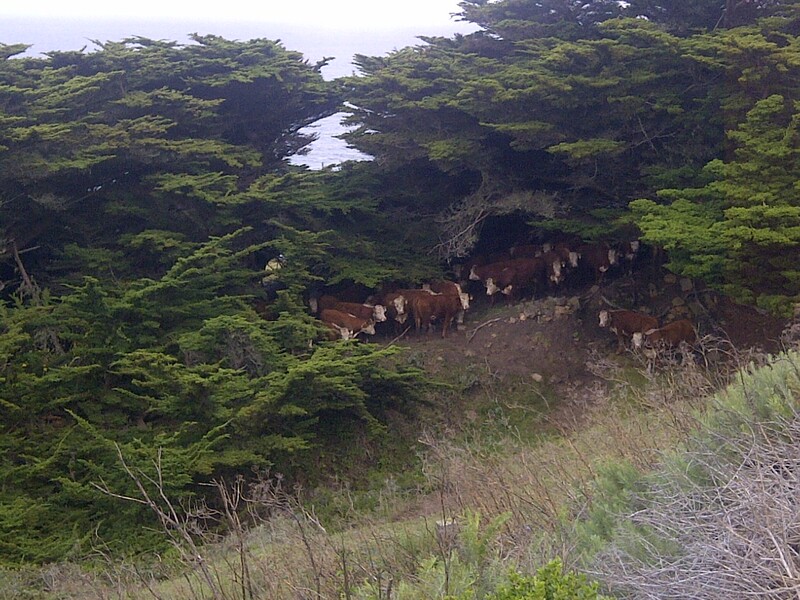 Take a look for yourself- Big Sur Mile Marker Project. Windy shot taken by a fellow runner. My skirt looks like I was about to take flight. 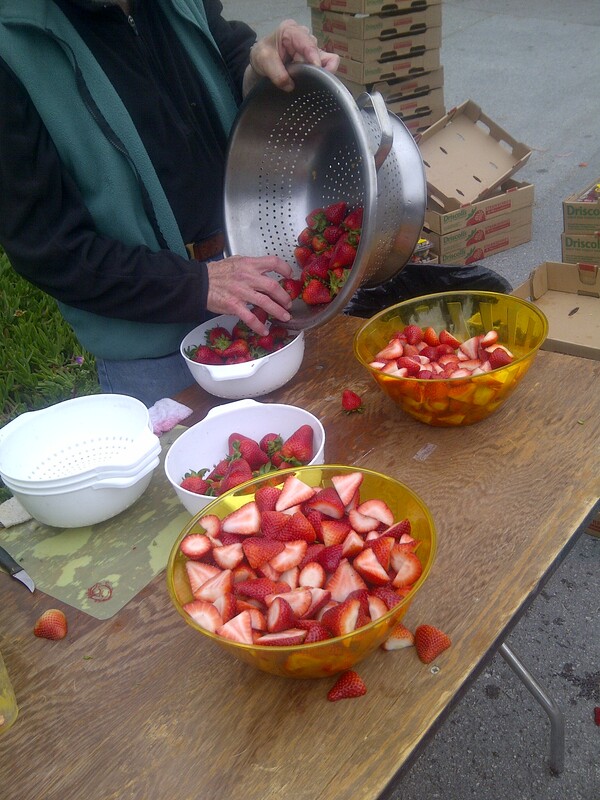 Fresh strawberries at mile 24! Yummy! The description for mile marker 25 says it all, about my only UNenjoyable mile of the entire course. This “Doomsayer” needs to lighten up! You may be feeling a bit down at this point, but with the finish just over a mile away, the end to your race is just over the next hill. Finally, 26.2! The race Directors and organizers, donned in their BSIM Blue blazers, shook the hands of participants as they cross the finish! Total class act! This years finish line included the Boston Marathon Executive Director who personally shook the hands of EVERY Boston 2 Big Sur participant. It was amazing to watch as . Emotions were still very raw and many were moved to tears. My bonus was a congratulations hug from Bart Yasso! Promise I am a fan and not a stalker! 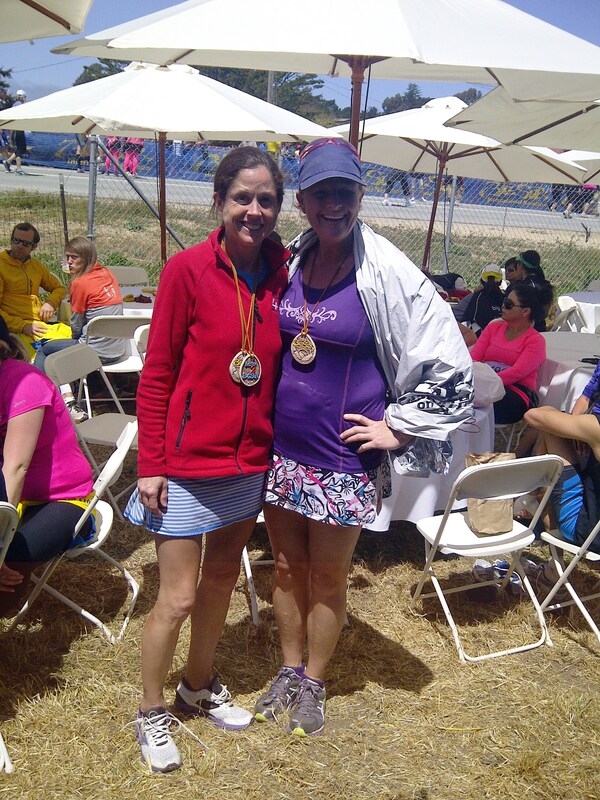 With Laura, being a Boston 2 Big Sur participant, we enjoyed the awesome finishers tent that overlooked the finish line. I only joined her after I partook in the free 10 minute massage. It was amazing! Pleased with my 4:54:47 finish, which included 2 pit stops, and numerous video and photo ops. It was not my fastest, nor my slowest but was my STRONGEST physical and mental FINISH. 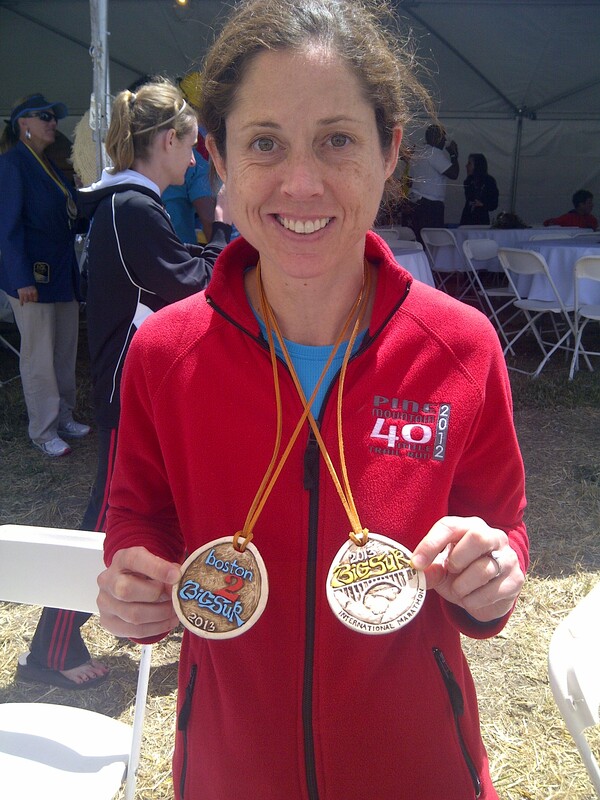 My Finish & Enjoy Marathon Plan carried me through. My only expectation was to enjoy and take it all in. I accomplished that an much more! I do have to credit Raleigh CrossFit, which I included in the last month of my training plan. I feel a new addiction brewing! #RaleighStrong! 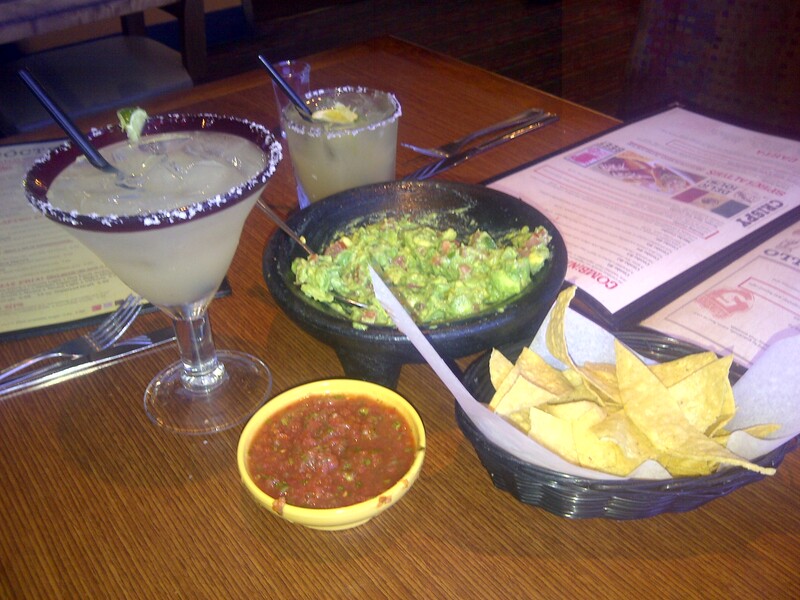 Traditional post marathon margarita, overlooking Monterey Bay! One and done in California! 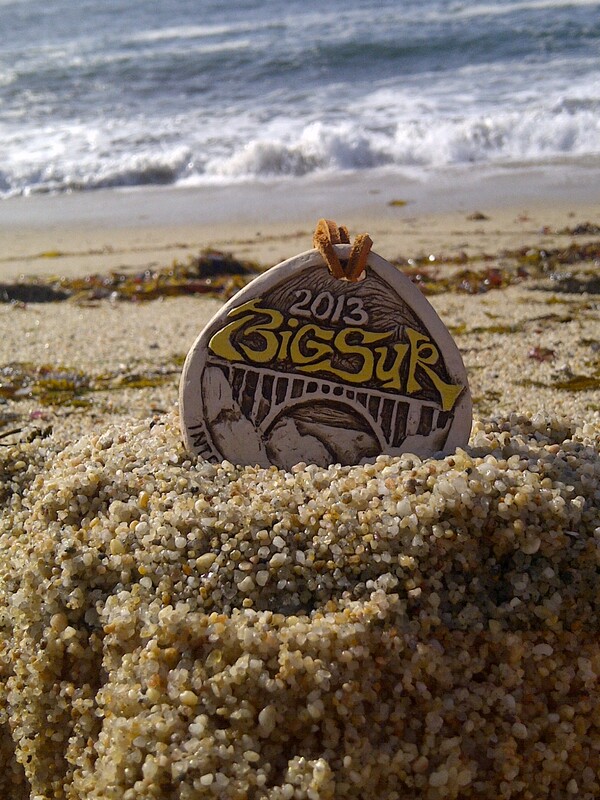 Big Sur International Marathon was an excellent choice! This race should be on every Marathon bucket list! Mark you calendars registration for 2014 opens July 15th. It typically sells out in a matter of days so don’t delay. Register, train, and Finish & Enjoy!